Everyone wants a new kitchen—that is until they see the price tag. 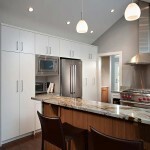 While it’s true that some kitchen renovations can be a major investment, many can be done at a fraction the of cost. If you’ve always wanted to upgrade your kitchen but never thought you could afford it, here are some great ways to lower the costs of kitchen renovations in North Vancouver and West Vancouver. Believe it or not, demolition and removal can take a sizable chunk out of your kitchen remodelling budget. So, if you want to save some coin, you could always tear down and remove the kitchen materials yourself. It may take some work, but it’ll be well worth the efforts later. And if you are looking for a way to recoup some of your renovation costs, you can always sell off your leftover building material. You can do this by creating an ad or posting your items online. Relocating your existing electrical and plumbing can get pricey—really pricey. 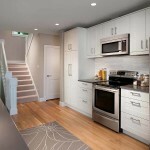 So, if you can use the current layout with your new kitchen renovations in North Vancouver and West Vancouver, you’ll take some major pressure off your wallet. Working with what you’ve got will go a long way to saving you hundreds, maybe even thousands of dollars. You don’t have to break the bank on brand name appliances to have that dream kitchen you’ve always wanted. Truth be told, you can get some top-performing models from generic-market brands that won’t gouge your savings. To save even more, search online for the best deals in North Vancouver and West Vancouver. 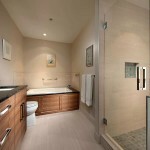 Looking for a way to lighten the load of remodelling costs? Another great kitchen renovation price saver, DIY painting can help you save on expenses. If you don’t mind putting in the time and the elbow grease, picking up the brush and painting your kitchen can help stretch your budget bucks farther. A kitchen renovation doesn’t have to cost you an arm and a leg. With a little tucking and trimming, you’ll have a stunning new kitchen you, your family, and your friends will love. 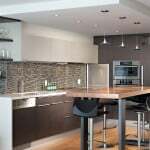 For cost-effective kitchen renovations in North Vancouver and West Vancouver, contact Shakespeare Homes & Renovations today! 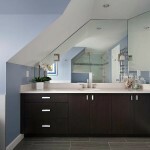 Thinking about a renovation or custom home? WE LIVE HERE – WE BUILD HERE – WE’RE PROVEN HERE. Shakespeare Homes and Renovations provide full range of high quality construction and renovation services in North & West Vancouver.